Welcome back to Bernstein Week on Kids Commute from Interlochen Public Radio. This week, we're exploring the career and compositions of American conductor Leonard Bernstein. So far we've learned about his early career as a young conductor. Today we discuss his ability to effortlessly connect with people, especially young people. We'll also find out why his roommate hated music, inspiring him to write a cycle of five songs written from a young person's perspective titled, "I Hate Music." Stick around after the music for another hint for this week's Kids Commute Quizlet. Of course, if you text us the correct answer, we'll send you a Kids Commute Prize Pack. KC 2127 - Bernstein Week! Today we listen to "I Hate Music," composed by Leonard Bernstein. Hey Kids Commuters! Welcome to Day Two of Bernstein Week on IPR's Kids Commute! 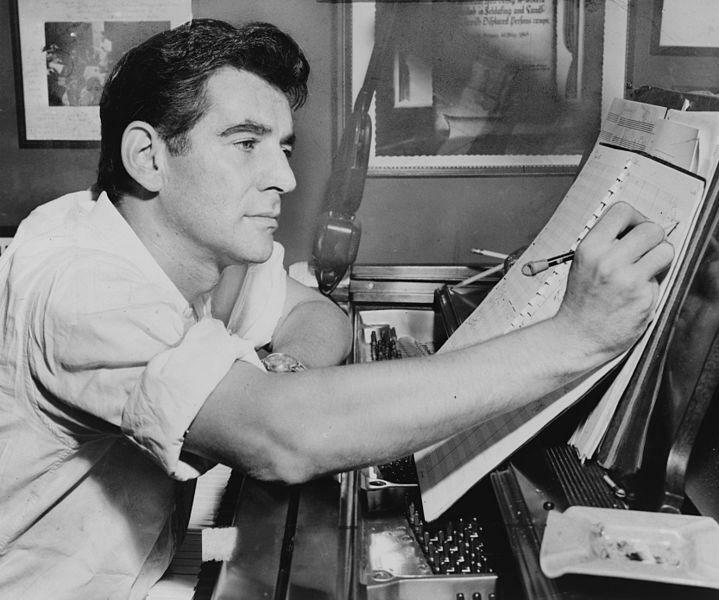 This week, we're looking at the life and career of Leonard Bernstein - beloved 20th century composer, conductor and educator. Today, we'll hear some jolly-sounding wickedness from Bernstein's 1956 operetta "Candide" - based on the philosophical novel by the French author Voltaire. The dastardly Governor of Buenos Aires, Argentina sends Candide off on a voyage - on a leaky boat! KC 2126 - BERNSTEIN WEEK! Tuesday: Today, we'll hear the wickedly funny "Bon Voyage" from "Candide" - Bernstein's operetta based on a novel by the French author Voltaire.